YNPN Milwaukee to host Young at Heart, an interactive panel discussion on how to attract and retain young, top talent in the nonprofit sector. MILWAUKEE, Wisc. 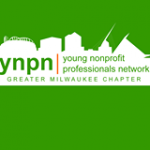 – Feb 12, 2015 – The Young Nonprofit Professionals Network (YNPN) Greater Milwaukee Chapter is kicking off its 2015 membership year on February 24th at Turner Hall. Their kick-off event, Young at Heart, will bring together a four-member panel of nonprofit experts, panel attendees, and the YNPN National Director to discuss the importance of remaining young at heart and its impact on recruitment and retention of engaged leaders in nonprofit workplaces. Secured panelists represent a wide array of nonprofit professions and impact areas. Participants confirmed include Lynda Markut, Dan Schiller, Erico Ortiz, and Trish Tchume. Markut joins the panel as an Education and Family Support Coordinator for the Alzheimer’s Association of Southeastern Wisconsin. Schiller represents Playworks as the organization’s Program Director. Retired MPS teacher and artist, Ortiz, is the founder of Inspiration Studios. Tchume, of New York City, is the Director of the YNPN National Network and brings over 10 years of YNPN experience to the event as both the keynote and panel moderator. Young at Heart will start at 5:30PM at Turner Hall. The event will feature networking opportunities, door prizes, refreshments, and is free for the public to attend. Registration can be done in advance of the event on the YNPN Milwaukee website (ynpnmke.org). YNPN Milwaukee was founded in 2006 to create a network for next generation leaders to connect and support one another to strengthen their own leadership skills, and as a result, the nonprofit sector as a whole. This mission is achieved through professional development programming, networking and mentorship opportunities, board and committee service, and more. Those interested in YNPN Milwaukee can also find more information on the organization’s website including individual and organization member benefits, dues and application, upcoming events, and opportunities to get involved. For more information, email info@ynpnmke.org.